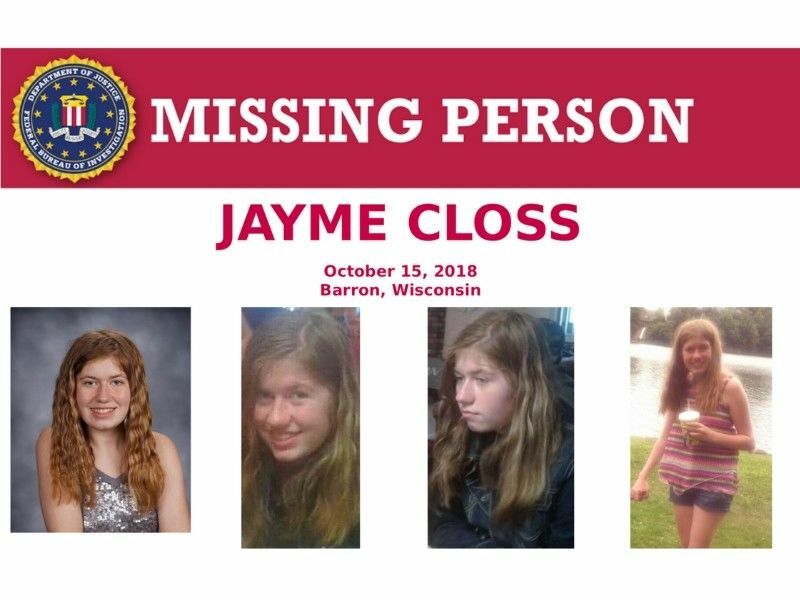 The FBI says it's expanded its search nationwide for Jayme Closs. The FBI has released a digital Missing Person poster following the announcement. Note: Click below to download the poster in high-resolution (PDF) or click HERE. On Monday, October 15, 2018, at 12:53 AM, a 911 call was received from Barron, Wisconsin. Upon arrival, law enforcement officials found two adults deceased, and their 13-year-old daughter, Jayme Closs, missing. Closs is now considered endangered. 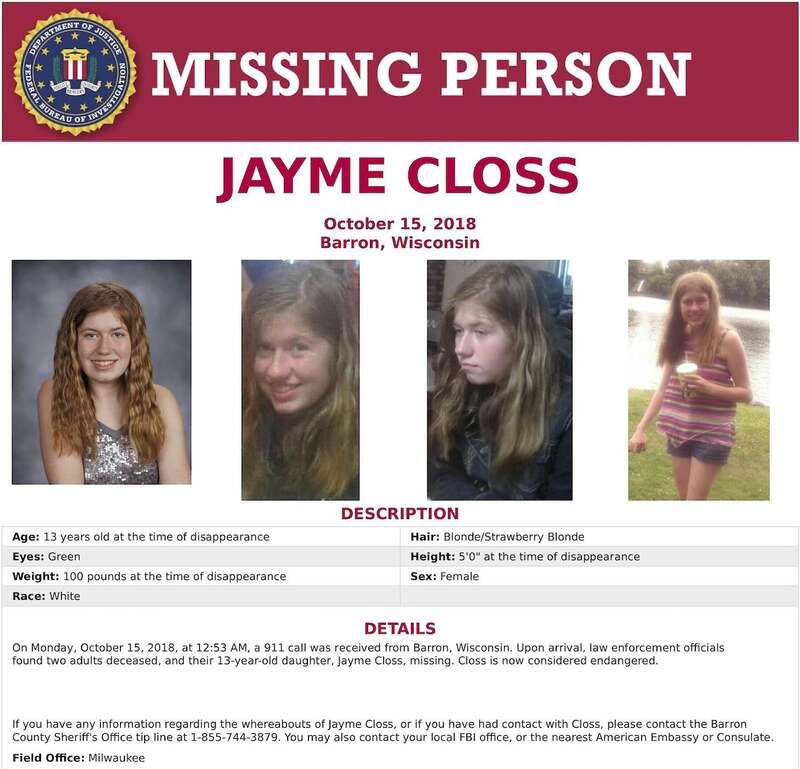 If you have any information regarding the whereabouts of Jayme Closs, or if you have had contact with Closs, please contact the Barron County Sheriff's Office tip line at 1-855-744-3879. You may also contact your local FBI office, or the nearest American Embassy or Consulate.